Just announced by Korg is the DS-DAC-10R, combing the functions of hi-res digital-to-analogue conversion and analogue-to-digital for recording to DSD. Selling for £439 when it hits the shops in January 2016, the new model even has a built-in phono stage, allowing a turntable to be connected directly to it, and the DSD output stored on a computer running the partnering AudioGate 4 software. 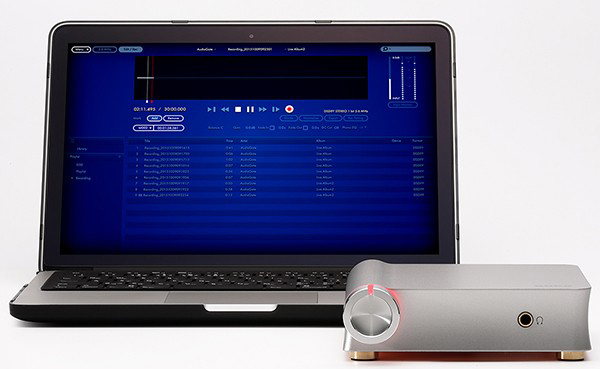 The DS-DAC-10R supports the 5.6 MHz and 2.8 MHz DSD format—for playback and recording—as well as PCM formats up to 192 kHz/24-bit, and has a built-in phono equaliser compatible with the standard RIAA curve used when cutting records, as well as five other equalisation curves. As well as being stored on the computer, files can also be burned to DVD-R discs, and can be played on a variety of SACD players, or to recordable CD for playback in standard definition. Under the lid, the DS-DAC-10R uses the same TI PCM4202 analogue to digital converter found in Korg’s MR-2000S 1-bit studio recorder, and the the Cirrus Logic CS4390 DAC also used in the MR-2000S as well as the company’s DS-DAC series, as used for the current Prime Seat ‘double-DSD’ live concert streaming. The new unit also has a prominent volume control and a front-panel headphone socket, enabling it to be used as a headphone amp, while to the rear there are line analogue outputs, a USB Type B connection for the computer, and switchable line/phono inputs complete with am earth terminal for record players. 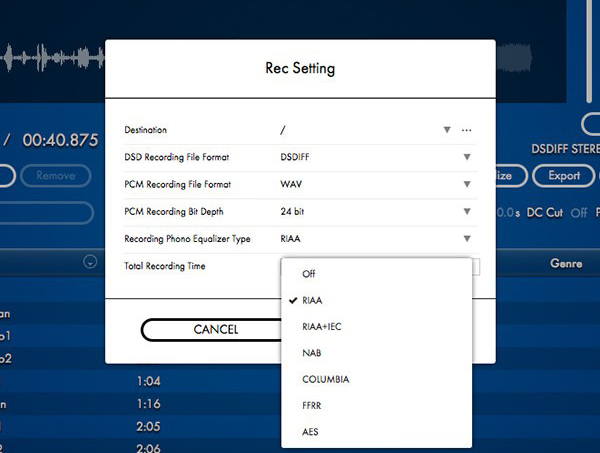 The DS-DAC-10R can also be used for playback with Korg’s iAudiogate app running on an iPhone, connecting via Apple’s USB camera connection kit.